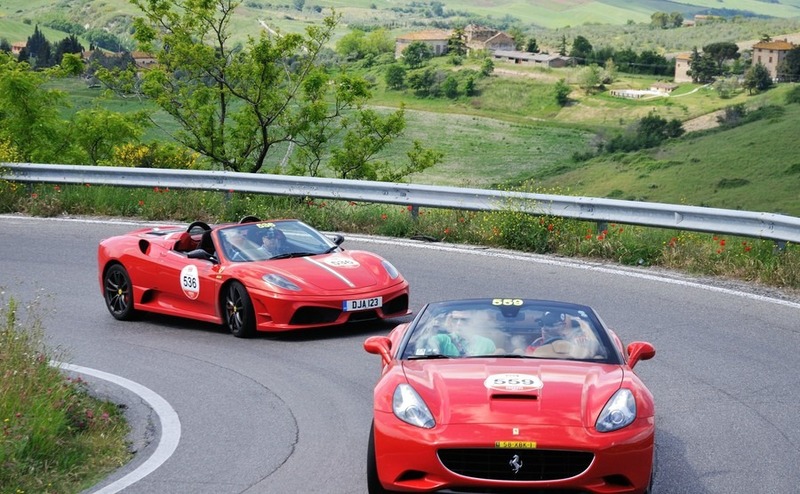 Driving in Italy: Fiat or Ferrari? 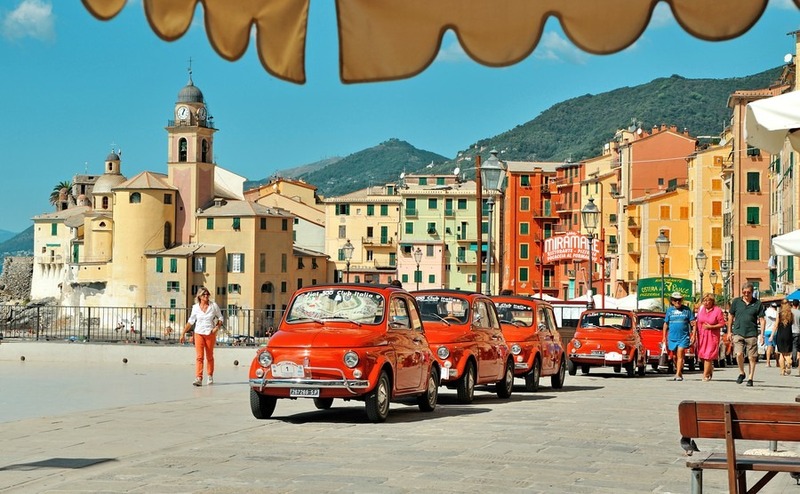 On this Anniversary year for Fiat 500 and Ferrari, let’s look at what it’s like to drive in Italy and what you need to know before setting off on your driving adventure, through the picturesque landscape of Italy. This year Ferrari celebrates 70 years since company founder Enzo Ferrari took to the roads in his 125 Sport; the first ever car displaying the Ferrari badge. In May, 1947 two of his cars also debuted at the Piacenza racing circuit. Throughout its history, Ferrari have excelled in Formula One, and their road cars have become a symbol of speed, luxury and wealth. If you want to be seen touring the Italian countryside in an open top Ferrari this summer you’ll need to have at least £180,000 to spend. If that is a little out of your price range you can still see the cars in the Ferrari Museums in Marenello and Modena in the region of Emilia-Romagna. This is also a beautiful region to have a home and you could even buy a four-bedroom villa here for the price of a Ferrari. It is also within driving distance of the Monza track where you could be watching Formula One live in September. The Fiat 500 is one of the most iconic cars the Italian manufacturer has ever made, with both old and new models having a fond place in the hearts of Italians, demonstrated by the large number of collectors’ clubs. With their cute appearance and the ability to get around the smallest medieval streets, you can see why they have held their appeal. This year the car turns sixty and to mark that anniversary they are releasing a special limited edition, that has all the charming features, plus a soft top for those sunny days exploring the countryside and villages of Italy. Just strap a picnic basket on the back and enjoy the drive. The most important thing to remember is to drive on the right. Which at first feels very strange when driving right around a roundabout. The speed limit in urban areas is usually 50km an hour (31mph), 70km/h (43mph) on minor countryside roads and 90km/h (55mph) on major out of town roads. Motorways usually have a speed limit of 130km/h (80mph), but they can go down to 110km/h (68mph) or even 90km/h in some areas. On any long stretch of road you should keep an eye out for signs indicating a change of speed. This often happens near bends or entrances to countryside properties. Also watch out for elderly Italians pottering along in their Piaggios and tractors, as some still think they have the right of way to pull out in front of you from the right. They also will suddenly stop to chat with a friend, such as the shepherd herding his sheep along the road. Watch out for elderly Italians pottering along in their Piaggios. Younger Italian drivers are the complete opposite, thinking they are driving a Ferrari they will take great risks trying to overtake in the most dangerous of places, often coming close up to the back of your car, before pulling out. In any situation if they flash their lights it usually means watch out I’m coming through. Even on the motorway they will flash their lights before speeding past you. You will want to tut loudly, but the Italian way is to admire their verve and driving ability! Dipped headlights must be used on two-lane motorways in any case. On some motorways, you are required to pay a toll, which is paid at the booth either with cash or credit cards; follow white signs to booths to pay by cash, blue signs to pay by credit card. The lanes with yellow signs are for frequent users that have a telepass. Driving licences issued by any of the EU member states are valid in Italy, but drivers must be over 18 years old. You will also need to carry some other proof of identification, like a passport, and proof of ownership and insurance documents. Your car must carry a triangle, spare tyre and reflective safety jacket which must be used outside towns and villages if you need to stop during the night or in poor visibility, or when stopping on emergency lanes or lay-bys. It is also recommended to have a fire extinguisher, first aid kit, spare bulbs and a torch. Seat belts must be worn in the front and rear of vehicles and keep your hands off your mobile. Italy has a strict drink-drive limit of 0.5mg of blood alcohol. That’s lower than the UK and means that you can’t drink more than maybe a small beer. Better to do as the Italians do and stick to the water. Many city centres are protected by ZTL (zona a traffico limitato) sectors which are exclusive zones for residents only. A wrong turn into a ZTL can result in a hefty fine if the traffic cameras scan your number plate. Basically, if you see a red circle on a white background, do not pass it. It is considered impolite to park in front of a shop unless you are just popping in there to buy something. However, it seems perfectly acceptable to double park at all angles and half over the pavement. Major towns and cities tend to have large car parks outside the historic centres, plus road side parking as you drive in. The parking bays marked with blue lines indicate you need to pay for a parking ticket from one of the nearby ticket machines. White or no lines usually indicate free parking, but check for no parking signs and signs indicating a time limit. Yellow lines with numbers indicate designated parking for residents. You should also look out for notices on the front of buildings requesting you to not block entrances to garages. In my local town it is also considered impolite to park in front of a shop unless you are just popping in there to buy something. However, it seems perfectly acceptable to double park at all angles and half over the pavement. Whether choosing new or second hand it is worth buying from a local garage that has been recommended by other local expats. Always get second-hand cars checked by a mechanic. A good garage will walk you through the paperwork and if you do have any problems it’s handy to have them close by, for any necessary aftersales service. You’ll then need to go to the Italian Automobile Club Public Registry Office (Automobile Club Italiano Pubblico Registro Automoblistico) with the car’s owner to transfer ownership and pay an ownership transfer fee. The annual car tax (bollo), varies in cost depending on how environmentally friendly your car is, the size of the engine and whether it takes diesel or petrol. Italian car insurance is very expensive and doesn’t take into account any “no claims” you had back in the UK, as it is the car not the driver which is insured. 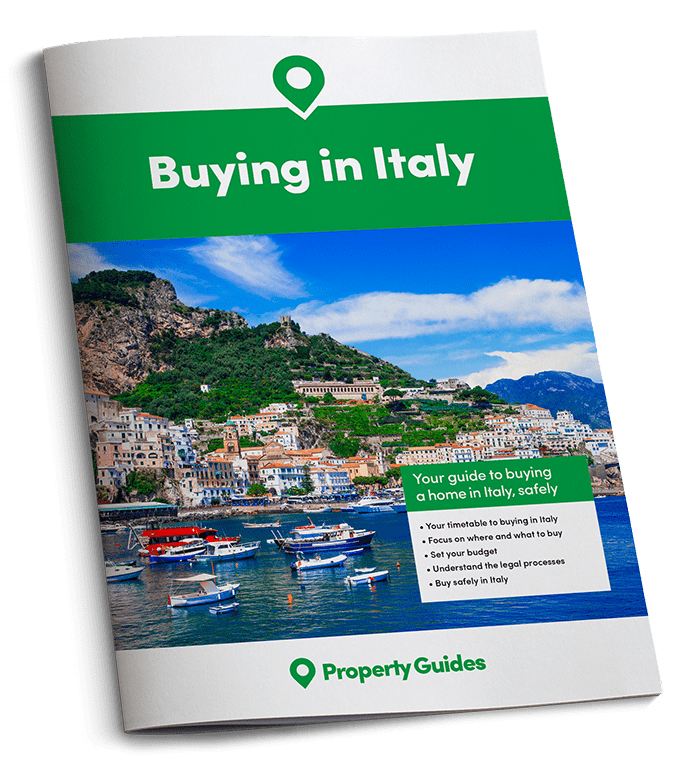 It is worth shopping around on the internet for insurance quotes and also in local insurance offices recommended by Italian friends. In Italy, it is a legal requirement for all cars that are more than four years old to have a ‘Revisione’ every two years, which is the Italian equivalent of a MOT. This is done at your local ‘Centro Revisioni Auto’. Our local centre requires no appointment and you are in and out very quickly. They couldn’t understand why we went in on the due date, as the locals prefer to wait until the very last day that you are allowed to be overdue. There are some lovely places to drive in Italy. 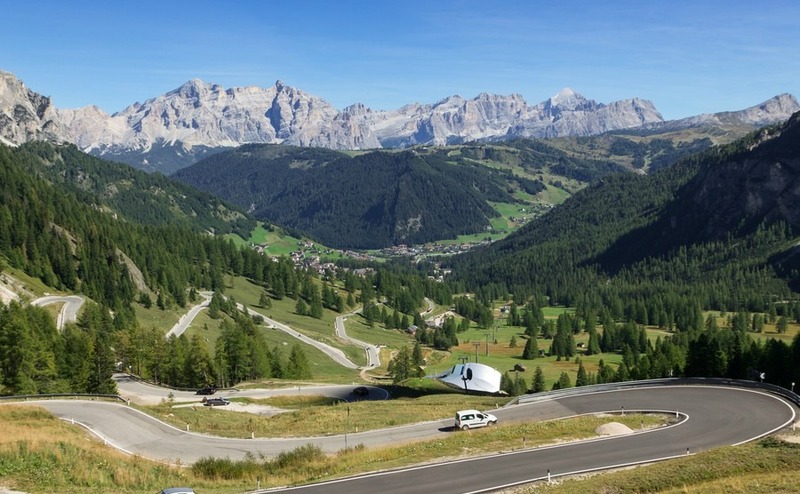 The Dolomites are spectacular, particularly between Bolzano and Cortina d’Ampezzo, and the drive along the Amalfi coast is absolutely breath taking. All around Tuscany you will find lovely driving routes; try exploring the area between Florence, Orvieta and Siena. There are also some lovely drives around the Northern Lakes, and beach lovers will enjoy the coastal roads around Sicily. 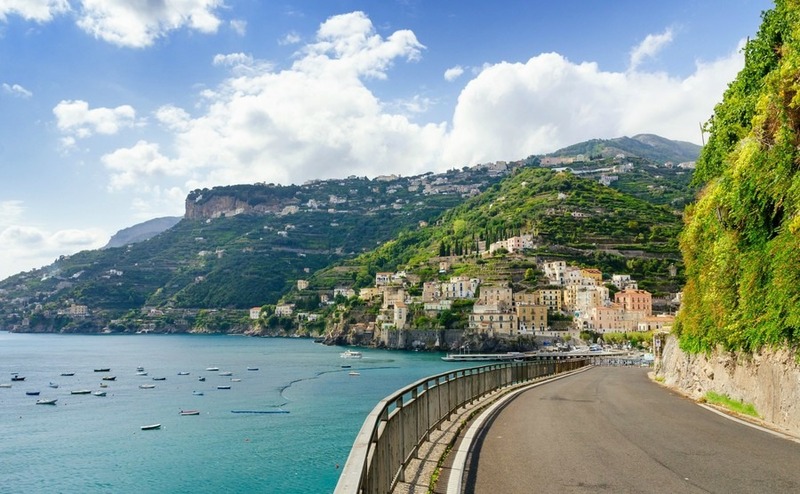 With such beautiful countryside, beaches and historic towns to explore, a car is a real must to get the most out of life in Italy.